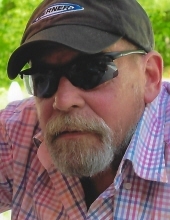 Celebrating the life of Thomas S. Greene Sr.
Obituary for Thomas S. Greene Sr.
Thomas S. Greene, Sr., age 67 of Carrollton, passed away November 12, 2018. He was born November 18, 1950 in Fulton County, Georgia, son of the late Sam V. Greene and Jimmie D. Greene. He was owner/president of his own company in specialty and acquisition appraisals for more than 36 years with Greene Maddox and Associates, Inc. In addition to his parents, he is preceded in death by his wife, Debra Smith Greene; and sisters, Sandra Greene and Lindy Greene. He is survived by his children, Thomas S. Greene Jr., (Tambra) of Dahlonega, GA, Christina D. Odegard (Corey) of Commerce, GA, Kimberly Greene of Carrollton, GA, and Angela M. Lambert (Mark) of Woodland, AL; sisters, Debbie Terza (Norb) of Woodstock, GA, and Cindy Whitmire (Anthony) of Woodstock, GA; brother, Bob Greene (JoBeth) of Colonial Heights, VA; thirteen grandchildren and five great grandchildren. Memorial service will be conducted Thursday, November 15, 2018 at 6:00 PM from Martin & Hightower Heritage Chapel with Rev. Bob Greene and Rev. Bill Rorie officiating. The family will receive friends at the funeral home on Thursday from 2:00 PM until 5:00 PM. In keeping with the family’s wishes, his body will be cremated after the service. In lieu of flowers, please donate to: Jaxx Reasoner at https://www.gofundme.com/jaxx-reasoner-jaxx039s-journey. Thomas’ young “Super Hero” is fighting a two year battle of leukemia. Messages of condolences can be sent to the family at www.martin-hightower.com . For those desiring to make a memorial contribution to the fund above, but do not want to do so online, may bring check or cash in an envelope and place in the basket at the service. To send flowers or a remembrance gift to the family of Thomas S. Greene Sr., please visit our Tribute Store. Cremation will take place following the service. IN LIEU OF FLOWERS, SEE MEMORIAL FOR DONATIONS. "Email Address" would like to share the life celebration of Thomas S. Greene Sr.. Click on the "link" to go to share a favorite memory or leave a condolence message for the family.